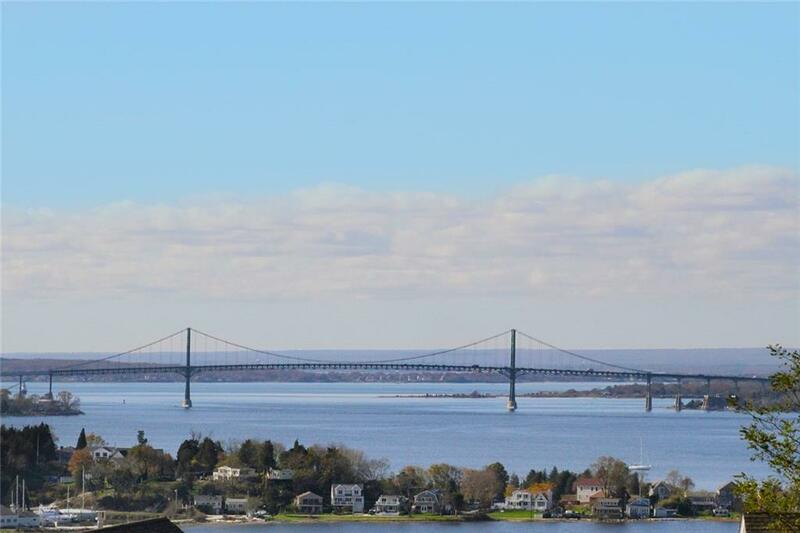 Lovely corner location town home perched above the Sakonnet River with expansive views. First and second floor master suites offer flexible living. Large south facing dining room with bay window, cathedral ceiling great room with additional light flooding through a wall of floor to ceiling windows facing the bay. First floor den is great for a office or second siting rooms which opens to full guest bathroom. 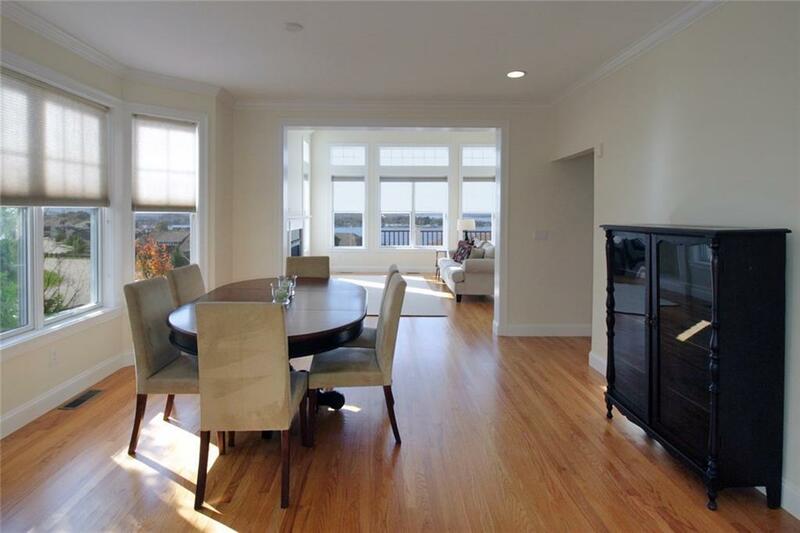 Chef's kitchen with stainless steel appliances and a breakfast area opening to a large deck overlooking the Bay. Second floor bonus loft space adds to versatility. Lower level ready to b e finished with 8 foot ceilings, rough plumbed for future wet bar, kitchen or bath. 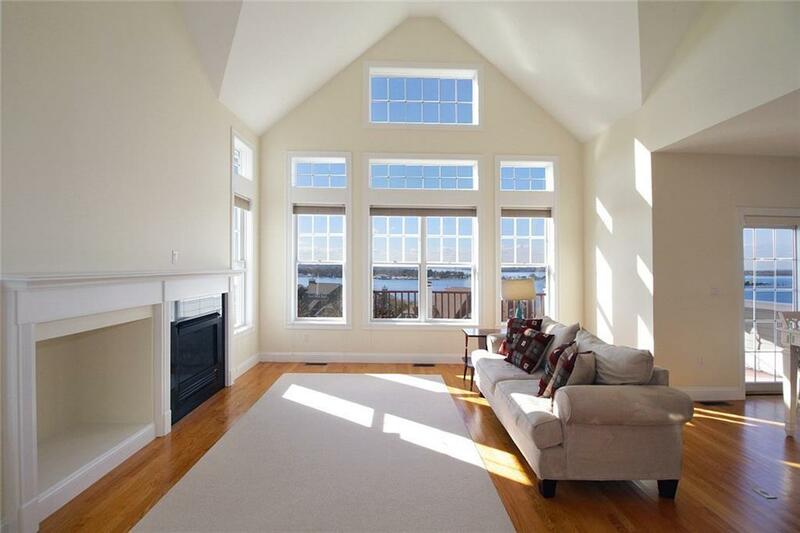 Basement features walk-out to finished stone patio with large windows and sliding French doors. Entire home has been freshly painted and refinished hardwood floors and new carpet in the bedrooms. Integral two car with entrance to home through a mudroom and laundry. 55 and over community with heated pool, clubhouse, fitness center, tennis and numerous activities. Conveniently located to Boston, Providence and Newport.